Living on a farm involves a lot of work. 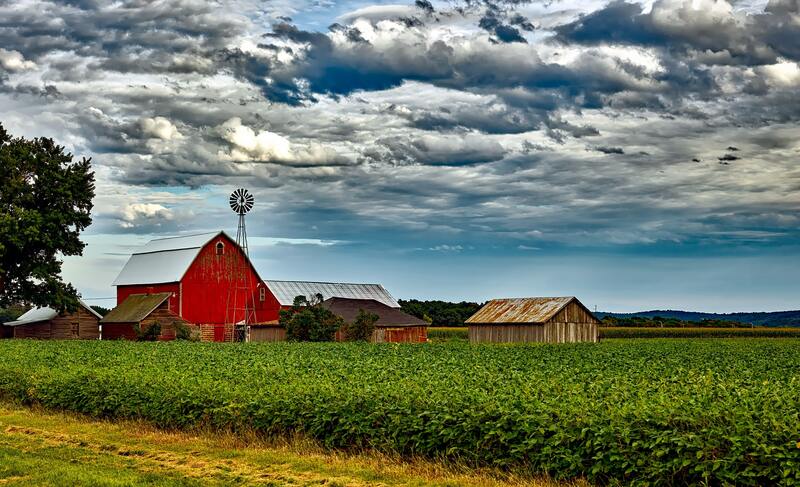 There are fences to maintain, barns to paint, animals to feed, vegetables to harvest, weeds to pull, etc. 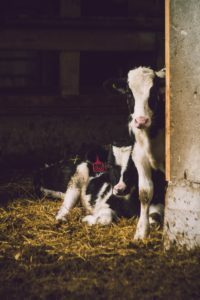 And farm living embodies the philosophy of “everybody needs to pitch in and help.” The chores are given out to the kids at an age appropriate level and as they grow comes more and more responsibility. I was cutting grass on a riding lawn mower when I was ten years old. And the mower had a clutch. When I went to college, I was grateful that I had a vehicle with a manual transmission. Very few people my age actually knew how to drive with a clutch so I didn’t have to worry about people asking to borrow my car! So while my friends were hanging out at the pool or mall, I was helping with the tobacco harvest. An 8 hour work day seems like a breeze as an adult. I realized that I got bored when I got home from work and started looking for new projects to do. I started to learn quilting and scrapbooking, and eventually decided to go back out on the farm and grow wine grapes. I feel fairly confident in saying in my experience, most kids who were raised on a farm aren’t lazy adults. In fact, if you are one of those farm-raised kids, I bet you’ve heard the phrase “Don’t you ever sit down?” at least once or twice in your life. Even if you don’t live on a large plot of land currently, I bet most of us farm-raised kids can figure out how to get seeds started and vegetables growing if food became scarce. And for those that need some meat in their diet, there was always a shotgun laying around and many of us know how to load and use one. My family didn’t do a lot of hunting but my husband and his family now uses the farm to hunt deer, turkey, geese, and sometimes duck. There’s usually an extra freezer to hold all the meat from hunting or your own farm raised cattle, hogs or chicken. We had black angus cows on the farm when I was a child and I would wander up and watch them and talk to them. I named them too. One year, I named one Curly because he had a big curl of fur on his forehead. One evening that following winter I asked my dad what was for dinner and he responded “Curly”. There weren’t any tears because I understood that the cattle were raised as food – for ourselves and for others. And of course, the beef tasted delicious. What’s the issue with cleaning a greasy cooktop at McDonald’s? Compared to cleaning the manure out of the hog barn or sweeping dead birds out of the grainery, that’s a piece of cake right? Or how about pruning grapevines in 100+ degree heat with 90% humidity or alternately pruning the grapevines in February prior to bud break when it’s freezing outside. Now that we’re back outside farming and still have full time jobs, we sometimes need to hire help. I was really surprised how hard it was to find anyone that is willing to work outside in the summer. It’s really not that bad as long as you have plenty of water and use lots of sunscreen. Many folks living on a farm, myself included, didn’t use enough sun screen growing up and are paying for that now. Hopefully, we’re teaching the next generation the importance of sunscreen use. Most people know about the many uses of duct tape to fix common household issues. Farmers, however, have a much wider variety of go-to tools for quick repairs including baling twine, wire of all gauges, chains and a bottomless supply of nuts and bolts. Every truck, tractor and combine has a toolbox in it. After all, why would you waste time walking back to the barn or house when something breaks in the field. I remember my mother asking me to take lunch out to my dad in the field. He was in the middle of plowing and getting ready to plant. I patiently waited at the edge of the field until his next turn brought him back my way. Then he would hop down from the tractor, grab the lunch and take it back to the cab with him and eat it while plowing. Or you’re ok with a few stains here and there. It’s one or the other. I don’t even know where all the stains came from when I came inside as a kid. It could have been from climbing up the rusty hay elevator or jumping into the pile of straw. Who knew? One thing was for sure – when my father asked him to help grease a piece of equipment, I was definitely coming home with grease smears on my jeans. Usually I was just pumping the grease gun but occasionally I had to find the grease port which meant digging around in the old dirt and grease until your fingers happened to feel something that might be the grease point. Then you had to clean it off enough to get the grease gun in there. Those were particularly bad days for stains on my clothes and also dirty fingernails!